(CBS/AP) CHARLOTTE, N.C.  The chairman of the California Democratic Party has compared Republican tactics during the presidential campaign to the "big lie" strategy most famously employed by Nazi propagandists. California Democratic chief John Burton made the remarks Monday in an interview with San Francisco station KCBS while in Charlotte for the Democratic National Convention. Burton said GOP vice presidential nominee Paul Ryan lied in his speech to the Republican National Convention last week, adding that Republicans "lie and don't care if people think they lie" and that, "Joseph Goebbels, the big lie, you keep repeating it ... that was Goebbels. The big lie." 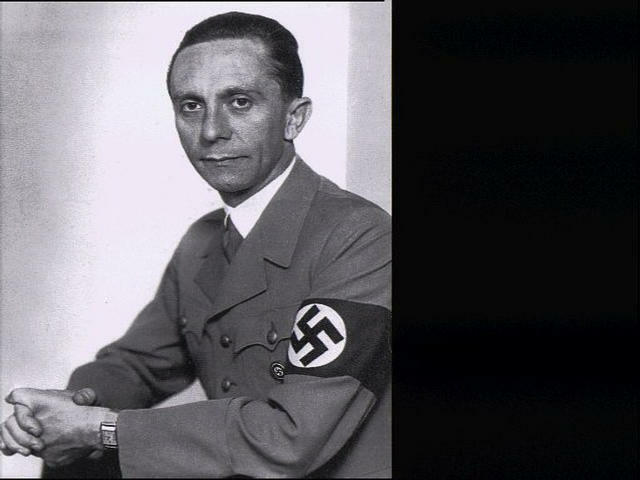 Goebbels was the chief of Nazi propaganda. Nazi leader Adolf Hitler believed the "big lie" had a greater chance of being believed. Republicans immediately criticized Burton and called for an apology. Burton later issued a statement saying that he "humbly apologized" to anyone offended by his comparison. His Republican counterpart, California Republican Party Chair Tom Del Beccaro, told KCBS he was confident that the controversial remarks would hurt Democrats on Election Day. "It means the Democratic National Convention is off to a poor start," Del Beccaro said, "because it's divisive rhetoric, and voters these days are looking for solutions, not divisiveness."